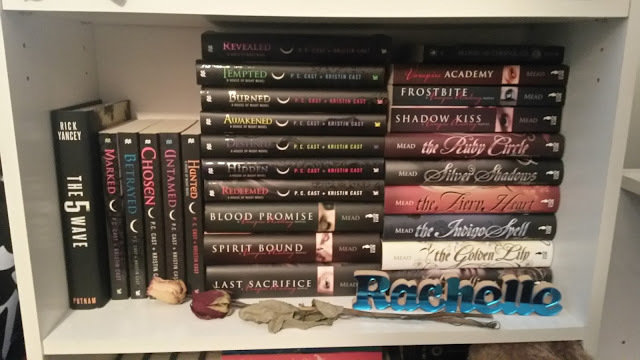 It’s time for me to share bookcase #3! If you didn’t see my other bookcases, you can check out pics of Bookcase 1 and Bookcase 2 on the blog. My face when I stare at my shelves. On days that I don’t have other posts planned, I’ll share photos of a bookcase. I currently have five-and-a-half-ish bookcases that I’m planning on sharing. This will be bookcase three. 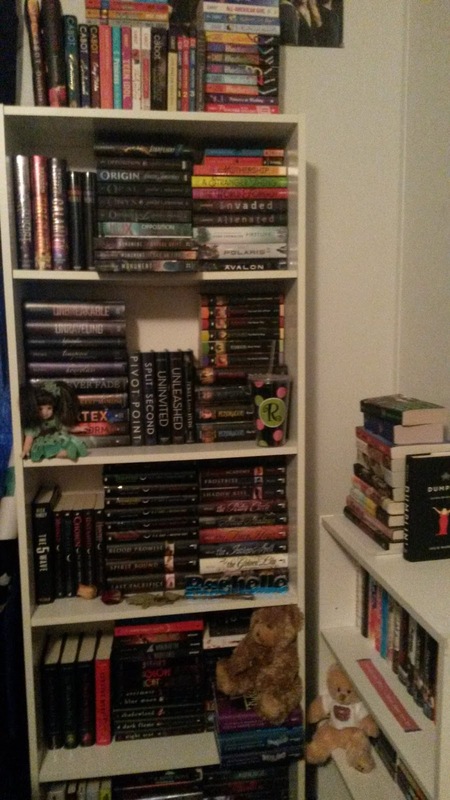 It primarily holds the sci-fi and paranormal books that I’ve read. 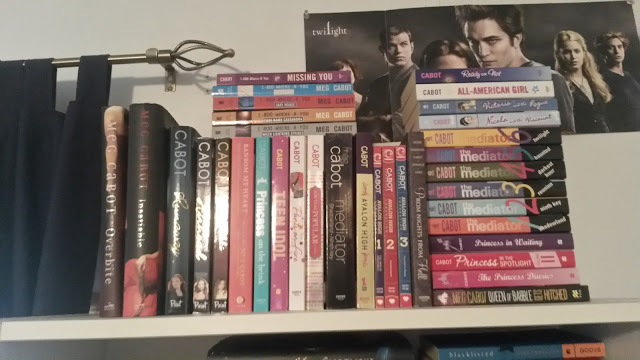 The very top shelf on this bookcase contains my Meg Cabot collection, minus a few of her paranormal YA books that are on Bookcase #1. Next, there are some YA science fiction books, including Jennifer L. Armentrout, Brandon Sanderson, and Melissa Landers. 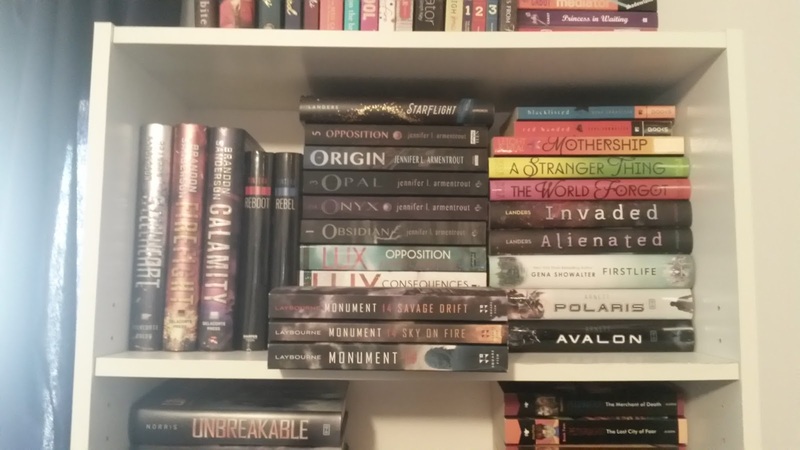 The next shelf down contains more YA sci-fi. This shelf contains Alexandra Bracken, Kasie West, and D.J. MacHale. 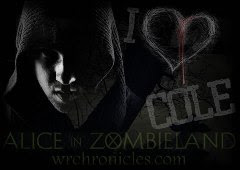 Now, is where we get into my vampire collection from the Twilight-esque days. 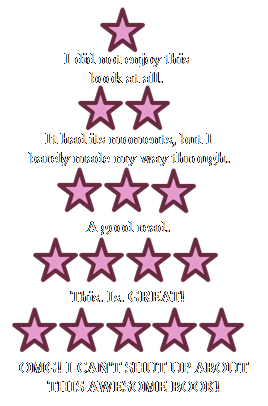 We’ve got Richelle Mead and P.C. and Kristin Cast here. 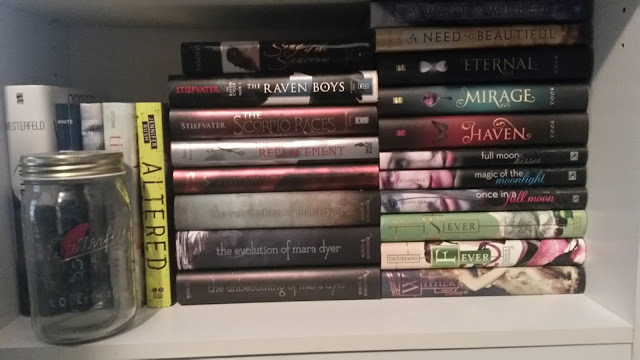 Down to the next shelf is just a random mix of paranormal and fantasy titles. I’ve got everything from Gena Showalter to Cinda Williams Chima on this one. 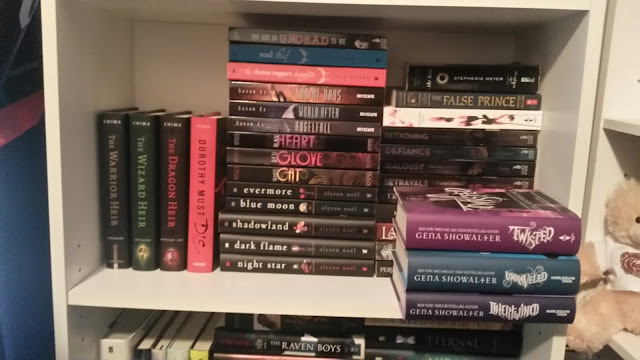 And, the last shelf is, again, a mix of genres and titles in the YA category. 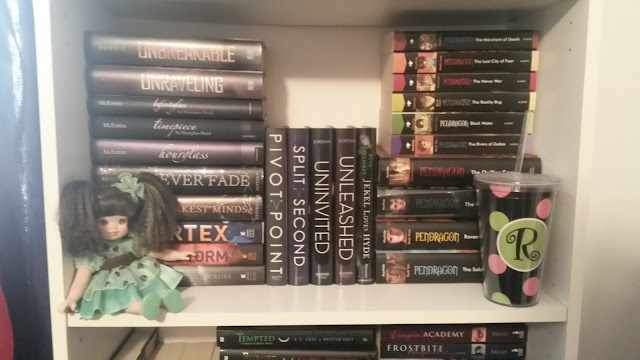 Lauren DeStefano, Maggie Stiefvater, and Michelle Hodkin are all featured on this particular shelf.